Tom: Well, we're just about set. The grill is pretty hot now and should be ready for me to put the burgers on shortly after our guests arrive. Jerry: Great, I've got the chickpea potato salad made and the corn cookie ice cream pie is chilling. Tom: Fantastic. Oh hey, where did you put the cooler with the case of IPAs? I can't find it. Jerry: What case of IPAs? Tom: The one I asked you to get for today since we drank almost all our beer last weekend. Jerry: Uh...uh-oh. Can we make do with vodka tonics? Tom: Well no, since Rob and Roy drank all the vodka when they came over the other night. Jerry: Well, I can't go to the liquor store now, our guests will be here in like 10 minutes, and I need to finish getting ready. Tom: And the grill is lit, I can't leave either! What will we do? For these moments, there's BeerRightNow, an online alcohol delivery service that allows you to order beer, wine, spirits and have them delivered to your home or event. I've been following this burgeoning service space, but hadn't given it a try until BeerRight Now approached me one night with an offer of free beer to try their service. They sent me three 6-packs of IPAs, all of which were cold. I decided to try the service for myself and write about the experience. How does it work? 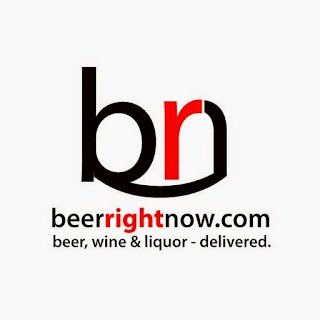 BeerRightNow operates in Washington, D.C., New York, Los Angeles and a growing list of other cities, providing an online ordering experience with those orders processed and delivered by its local liquor-store partners. Sign up, browse and order either from BeerRightNow's website or its app, which is available for Android and iPhone. I decided to test the site in three ways: 1) selection variety, 2) usability and 3) delivery experience. What you get for selection will depend on what the local partners carry. In D.C., this is 1 West Dupont Circle Wines & Liquors (also known as P Street Wines). 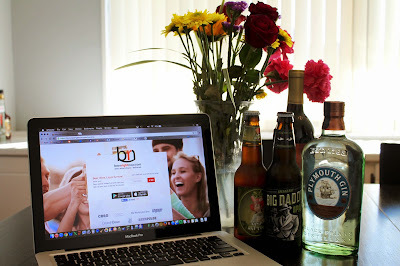 I found an excellent selection of beers (138), wines (263) and liquors (463). Like any liquor store, if you're looking for something specific, they may or may not have it, but chances are you can find something similar. The selection ranges from mass-market favorites to more obscure craft products. When it comes to beer, I'm an IPA lover, and BeerRightNow's selection in D.C. does not disappoint, offering about 30 selections including both national (i.e. Lagunitas, Stone) and local (Dogfish, DC Brau) choices. There are also about 30 choices of U.S.-made cabernets, ranging in price from a $9 Beringer to a $200 Silver Oak magnum. The selection of British gins (I do love my London Dry), includes typical choices like Beefeater and Bombay, but also less common choices like The Botanist and Tanqueray's Malacca gin (which I'd never heard of). Among the mixers, I was pleased to find something I've been looking for at liquor and grocery stores everywhere--Fever Tree's Mediterranean Tonic Water (the more botanical cousin of the Fever Tree's easy-to-find India Tonic Water). Prices for the wines and liquors are reasonable; the beer prices are a bit high, but not outrageous. To see how the selection varied in other cities, I changed the ZIP code to 10001 (Chelsea area of Manhattan, NY) and 60069 (West Hollywood, CA). In Chelsea, there were about the same number of beers--although all in 12- or 24-packs, but far fewer wine and liquor choices. In West Hollywood, there was an impressive 268 beers, a staggering 706 wines and a whopping 1,396 liquors. The site offers options for both browsing and searching among the various types of products it offers. Buttons at the top of the page make it easy to browse within beer, wine, liquor, mixers and "more" (which, in D.C. is mostly smoking products). Although I was able to find what I was looking for, there were some bumps here, especially with the browsing filters. Filter for tequila, for example, and the site told there was none, yet a search for "tequila" showed 36 choices. Filter within the wines for the Napa Valley as the "region" setting and it similar said there was none, but through browsing I found plenty of delicious choices. I also had some trouble searching within the app, where a search for "gin" failed to isolate the gins from the other liquors. Hopefully these wrinkles will get worked out over time, but for now, I recommend just poking around until you find what you're looking for, as it's likely there. Our experience placing an order was pretty smooth. Around 7 p.m. on a weeknight, I placed an order for a bottle of vodka (a specific one I was glad they had), the aforementioned Mediterranean tonic water, a bottle of red wine and a six-pack of beer (IPA of course). At check out, you can add comments about your order, pay with credit card and also tip your delivery person. Taxes are added at checkout and, although there is not a delivery charge, there is a sliding service fee (for my order, which came to about $70 with taxes, it was $4.95). The order arrived about an hour later and it was exactly what we asked for. There was only a small snag, which was that our confirmation email showed we had been charged two service fees, but thankfully the second fee did not appear on our credit card bill, so it wasn't a problem. One thing to consider is whether you need your beer cold when it arrives. When BeerRightNow sent us beer, it arrived cold. When I later ordered beer, it was not chilled. I asked BeerRightNow's Jonathan Gropper about this. He recommended stating in the comments if chilling is important. He also advises giving BeerRightNow a heads-up if placing a large order for an event--for example if you were ordering multiple kegs for an event and wanted them chilled. Convenience is the biggest selling point for BeerRightNow. Maybe you're like Tom and Jerry above and can't leave the house; maybe it's raining and you don't want to go outside; maybe your get-together is already underway, you've had a couple and shouldn't drive--for whatever reason, services like BeerRightNow put alcohol shopping on-par with shopping for things like groceries and prepared food delivery that have migrated online. It provides a fast and easy way to get your beer (or wine or liquor) right now (well, in about an hour--I'll take it). But the company is also about fun, as evidenced by its blog IWantBeerRight.com, which has stories on things like how to make your way to a crowded bar and cooking with beer. Yum!